The first Finders International Deputy Development Day for local authorities is to take place next month on Thursday 14th September (9am to 3.30pm) at the Holiday Inn, Regents Park, London. The theme for the day is how to establish links between the public and private sectors, and speakers will discuss how the two can find ways of working together. The event is open to all local authorities in England and Wales. One of the issues to be discussed will be changes to welfare benefits, often a source of stress for clients, especially those who rely on disability benefits where the changes to personal independent payments are having a profound effect on some of the most vulnerable members of society. Tracy Atkinson, the welfare benefits and personal injury trust manager from Frenkel Topping, will be updating delegates on the changes and advising what can be done to assist their clients. 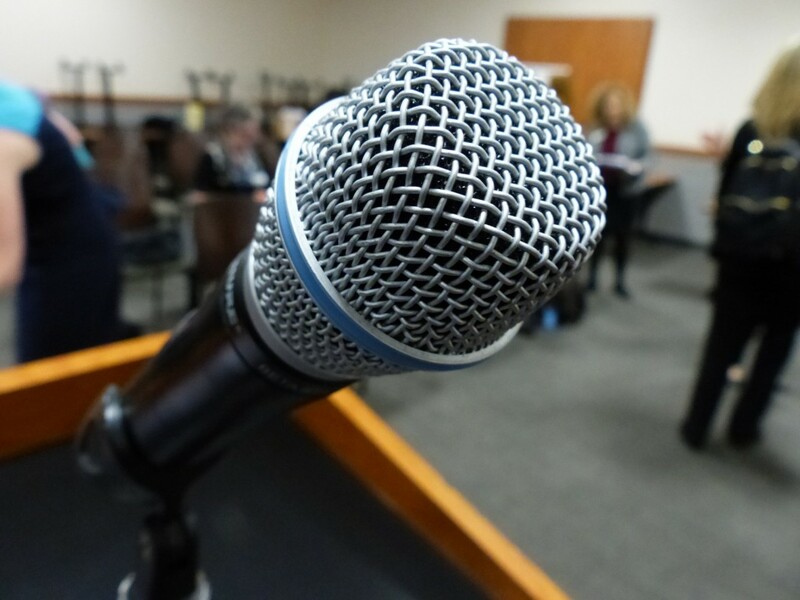 Forensic investigator Paul Smith will be discussing his work that looks into elder abuse, while Alison Taylor from Frenkel Topping will outline the topic of investment for people in later life about funding care. The myths and mysteries surrounding the Senior Courts Costs Office are also on the agenda for the day. Local authorities often work for fixed fees but can apply for the costs to be assessed if more work is involved – giving them the potential to raise income. Representatives from the Office of the Public Guardian will be on hand to discuss the new OPG102 online submission system as well as representatives from the Department of Work and Pensions. We have invited representatives from the Court of Protection to attend the open forum in the afternoon. The day’s agenda also includes a talk on what Finders International can offer public sector clients. We have a proven track record, and we have worked with many councils, hospitals and care homes in cases where someone dies and appears to have no will or known next of kin. 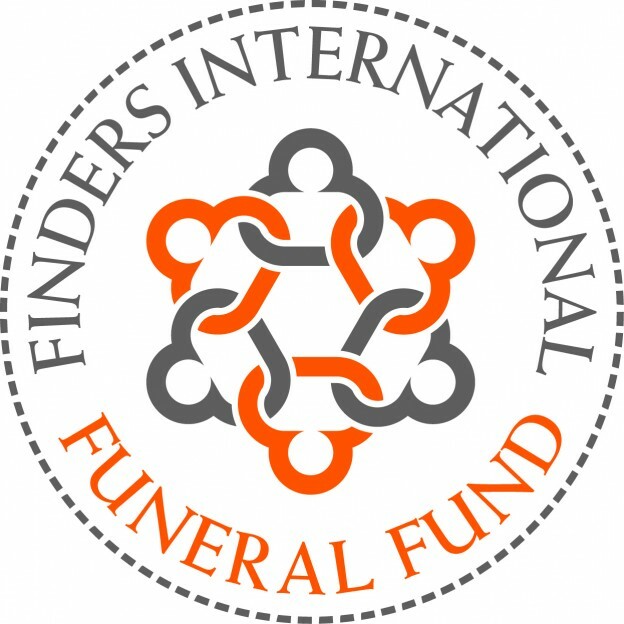 We also have the Finders International Funeral Fund, which can be used to help subsidise the costs of public health funerals. David has extensive experience in the public sector, having worked in four local authorities in London and the South East, dealing with various services and ongoing legislation changes. He has also acted as a deputy to the Court of Protection and is well-versed in the complexities of dealing with providing funerals under the Public Health Act. A maximum of three delegates from each local authority can attend, and lunch will be provided, as well as refreshments throughout the day. If you’d like to attend, you can register here. This entry was posted in Probate research on 30 August 2017 by admin. We’re all familiar with the concept of crowdfunding being used to raise money to finance new products or rare medical procedures, but funerals? Welcome to 2017. Crowdfunding for funerals is on the rise in England. When Big Issue seller Peter Toulson last year, a friend set up an appeal to raise £3,000 for his funeral. The friend managed to get more than £5,000 from donations through the fundraising site JustGiving. According to figures from JustGiving, more than 2,000 funeral services were funded by crowdfunding from January to September in 2016. In the same period in 2015, there were less than 500 funerals paid for in this way. No doubt, the rising costs of funerals plays a part in this increase. In England, funeral costs vary according to which part of the country you’re in, but on average a funeral costs roughly £3,700. This only covers the basics – a funeral director, a simple coffin and ceremony and hearse. If you want flowers, catering and a headstone, this pushes the price up considerably. There is a Social Fund Funeral Payment that is supposed to help people on low incomes with funeral costs, but the maximum award for other funeral costs is fixed at £700 as it has been since 2003. Funeral director costs have risen steeply in that time, well above the rate of inflation. If someone dies without money to pay for a funeral and there are no relatives who can cover the costs, often the only resort is a Public Health Funeral, sometimes called a pauper’s funeral. Research by BBC News shows that such funerals cost councils £1.7 million in 2013–14, relating to some 3,500 funerals. Finders International set up a Funeral Fund last year to help hard-pressed local authorities and health boards deal with the cost of Public Health Funerals. On average, JustGiving users raised £1,300 for each crowd-funded funeral in 2016. In total there were more than 52,000 donations, compared to 9,069 in January to September 2015. People can opt for a basic cremation which costs £1,600 and just involves a cremation without a service. The singer David Bowie asked that there be no funeral or memorial service after he died last year. He was cremated shortly after he died with no family or friends present. Talking to the BBC about crowdfunded funerals, JustGiving’s chief operations officer, Charles Wells said it could be a practical way for family, friends and the community to work together to help take the strain off families. 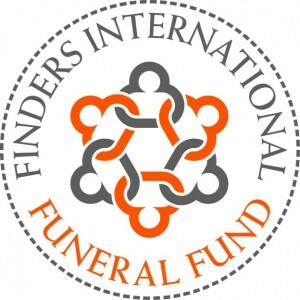 To find out more about Finders International’s Funeral Fund, please see our website, email us at contact@findersinternational.co.uk or call us on Freephone (UK only) 0800 088 8796. 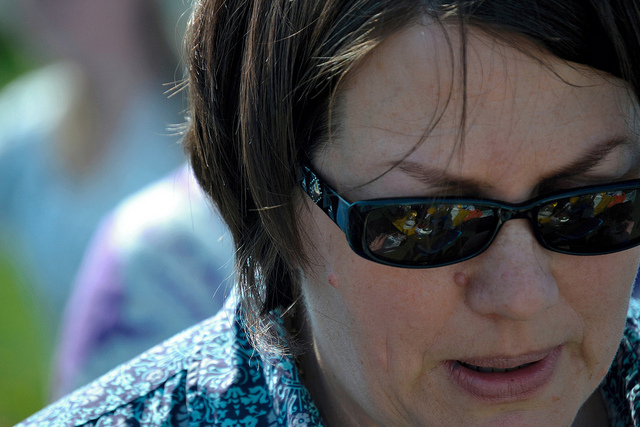 Image Yolande’s funeral, cc by Tom Coady on Flickr. This entry was posted in Probate on 10 February 2017 by admin. Finders International have launched a major social initiative which should benefit hard pressed local authorities and hospitals. When a Public Health Act funeral is being planned, usually at the Council or Hospital’s expense, these organisations can now ask Finders International for a subsidy payment towards this cost by applying to their new Funeral Fund. These will be cases where there genuinely are no known next of kin (rather than next of kin simply refusing to pay) and Finders International will have done the research to confirm this. On receipt of an application for a subsidy, Finders will assess each case on its merits and decide whether or not to grant a payment, which could be to fund the funeral completely or partially. When someone passes away with no known next of kin Councils, Hospitals and others can refer these cases to Finders International who will trace next of kin, free of charge to the Council or Hospital or the referring party in all cases. Where there is less than £5,000 in the estate Finders will not seek any payment from anyone. When the estate is over £5,000 they agree a simple commission fee with the next of kin traced whereby Finders receive payment from their net entitlement at the same time as they receive their money. Finders will transfer some of the commission earned on these cases to our new Funeral Fund and will also raise money through various charitable events and periodically donate to the Fund. With hundreds of thousands of pounds being spent on Public Health Act funerals every year, Finders hope to make a small difference by giving funds to deserving cases. Any questions? Please call Finders free on 0800 085 8796 or email fiff@findersinternational.co.uk. This entry was posted in Probate research on 14 September 2016 by admin. This entry was posted in Probate research on 16 August 2016 by admin. Our work at Finders International means we often work to trace the rightful heirs to the estates of those who have died alone and intestate. Dying alone is an increasing phenomenon, and Bridget Jones put it astutely – voicing a horror of dying alone, only to be found three weeks later half-eaten by an Alsatian. Sadly, the fictional Bridget’s fear isn’t so “out there” as recent cases proved – Anne Letrim who wasn’t found until six years after her death (neighbours thought she had moved) and Joyce Carol Vincent whose body was found in her bedsit almost three years after her death, surrounded by the Christmas presents she’d been wrapping and with the TV still on. The charity Dignity in Dying notes that dying alone is British people’s number one fear about death. But changes in society, an ageing population and the way we live mean dying alone is much more likely. At present, nearly half (49 percent) of people aged 75 and over live alone. In a response to reports that more people in Wales are drying alone than ever before, Age Cymru said they found it incredibly sad that more people than ever were drying with no known next of kin and no-one to make funeral arrangements on their behalf. Dying intestate is common too – of the 50 million adults living in the UK, 26 million (52 percent) have not written a will. Here at Finders International, a lot of the time we find that the rightful beneficiaries to estates had no or very little knowledge of their relative and most express deep regret that their relative died in such lonely circumstances. Our ageing population means there is no easy solution to this modern-day phenomenon, but keeping in touch with relatives and embracing the community spirit by keeping an eye on elderly neighbours is a start. This entry was posted in Probate research on 9 April 2015 by admin. Probate is the process required to get the court’s permission to deal with a dead person’s estate – collecting up assets, paying off any debts and distributing assets to the rightful heirs. If the person who has died has left a valid will, the will usually names the executors (i.e. those responsible for dealing with the estate). If executors are not named or are not willing to act, the rightful heirs can apply to the probate registry for “grant of letters of administration (with will)”. If there is no valid will, relatives can apply for “grant of letters of administration”. Administrators deal with estates in the absence of wills or executors. If there is no will, then the rules of intestacy mean that there is an order for who inherits – spouse or civil partner, children, grandchildren and great-grandchildren, parents, siblings or their children, half-brothers or sisters and their children, grandparents, uncles, aunts or their children, half-uncles or aunts or their children and finally, The Crown or Duchy of Cornwall or Lancaster. Grant of probates are always needed if the deceased held assets worth more than £15,000 in a bank account, but probate might not need to be obtained at all if the deceased’s assets are owned jointly with another person – a husband or wife, for example. Finders International can help with estate administration – from tracing unknown beneficiaries right through to safe estate administration. Finders has a full international network and we can trace beneficiaries world-wide. In one recent case, we were able to trace beneficiaries in the Ukraine with news of life-changing sums of money. For a full list of Finders International services for professionals, check out this link here. We are members of the Professional Association of Legal Services. We are the longest-standing supplier of Aviva online insurance policies – such as missing beneficiary indemnity insurance policies – and we are regulated by the Financial Conduct Authority. Instant telephone quotes or free advice is available from Finders International. Call 020 7490 4935 for assistance. Lines are open 24 hours a day/ seven days a week. This entry was posted in Probate on 9 April 2015 by admin. “Increased competition in the probate market is very welcome, and the pressure on fees will ease the financial burden on relatives and executors at what is already a very stressful time.” – Words from the chief executive of a Glasgow-based plan provider. Due to this increased competition, prices in the probate market are likely to fall. This will help advisers whittle down the large total of £870m spent per year by probate solicitors’ clients on resolving the delegation of the recently deceased’s estates. The increase in competition is directly linked to the fact that on November 3rd new legislation came into effect allowing chartered legal executives to offer probate assistance. Probate lawyers will now have outside competition for their services, and probate fees are likely to fall. Lower prices may invite the 46% of families that don’t currently use professional services now to use them. Despite the fact that chartered accountants can now offer similar services to probate lawyers like Thomson Snell and Passmore from Kent and Dartford, they still have to reach a professional standard in order to be able to offer probate and conveyancing services. This is done by receiving authorisation from Ilex Professional Standards, to demonstrate that they are knowledgeable enough to practice in probate without the supervision of solicitors. Analysis of the costs of probate lawyers settling disputes, done by the Glasgow-based company, have suggested that the average bills of probate and legal services for families and executors that use them comes to £3,000, generating total fees of £870m per year. Fees in probate are charged in a number of different ways, which is why they vary extensively. For example, certain companies such as banks may charge a percentage of the estate’s value; this is usually around 4% or 5% which can work out expensive compared to the likes of probate solicitors fees. Probate lawyers’ fees are most likely to be constructed around standards set by the Law Society, usually around 0.75% of the value of the estate as an initial fee, plus around 1.5% of the value of other assets being dealt with such as accessories etc. Will-writers are often the cheapest option available due to the undercutting of prices to attract business. The benefits that are offered by a fall in probate fees are stark. Families and executioners that would otherwise be priced out of the probate law market will now find it more financially accessible, meaning an increased number of probate lawyers will be in demand at a lower average price. To find out more on probate and estate planning, visit the legal news website Solicitors Journal. This entry was posted in Probate on 9 December 2014 by admin. Flame television has been commissioned by the BBC to produce an 8th series of the popular daytime genealogy and social history series Heir Hunters. The success of the television programme Heir Hunters has gone hand in hand with the increasing success of heir hunters like Finders in reuniting entitled beneficiaries with their rightful inheritance. This is reflected by a fall of some £15 million in the income the government receives from Bona Vacantia, although the number of cases remains similar year on year. This latest series of Heir Hunters will reflect many of the changes that Finders UK have seen in the heir hunting business and the fact that since January 2013 there have been some major changes to the world of probate research. One of the most significant changes has been within The Treasury Solicitors’ Bona Vacantia division, the public body that deals with the estates of people who have died with no known relatives. In the past the Bona Vacantia division published a list of unclaimed estates every Thursday, now notification of such estates is published randomly at any time and on any day. The effect of this for heir hunters is that they must be ready to research new cases and trace the beneficiaries as and when they come in. This faster and more immediate way of working has not only caused changes to the way heir hunters work but also to the way the television series Heir Hunters is made. For series eight Flame TV will be following Finders cases on a daily basis. Another significant change brought about by the Treasury Solicitor is a decrease in the minimum value of advertised estates. Previously estates were only advertised if they had a minimum value of £5,000 that has now been dropped to £500 which means that although there are more cases listed, many of these will cost more to research than they are worth. This provides a headache for probate genealogists who are increasingly relying on their own detective work to establish whether Bona Vacantia cases are viable and are gathering information from sources such as solicitor referrals, neighbours and good old local knowledge. Finders work in this area will be shown for the first time in series 8 of Heir Hunters which will be aired from January 2014. For further information and advice contact Finders, 6-8 Vestry Street, London N1 7RE 020 7490 4935 www.findersuk.com. This entry was posted in Probate research on 22 July 2013 by admin. Since the BBC Heir Hunters show began there have been many rogue traders setting up business, usually from home with no professional standing whatsoever. You should avoid becoming involved with any such companies as they probably do not have the ability, funds or knowledge to complete searches they undertake successfully. Some claim to ‘undercut’ any percentage fee contracts, others claim to be running an ‘association’ on behalf of heir-hunters, but none of these have any quality control, professional standards or qualifications and could leave potential beneficiaries embroiled in years of delay and legal issues, costing far more than they may believe they are ‘saving’ by using such rogue companies. They may charge hidden costs or extras that the true professional would not and their research may leave estates vulnerable to legal claims and court proceedings if they do not complete research to the required standard. Finders professional genealogists will match or better any genuine like-for-like commission offer. Finders will offer advice free of charge and will not become involved in any matter that they cannot complete. Finders employ trained professional in-house staff. Finders is run from a professional office, open every day at regular hours. Finders have numerous accreditations visible on their website. Finders are Data Protection registered. Finders work to their published Professional Conduct Code. Finders have ISO 9001:2008 Total Quality Management Certification. Finders are a professional probate genealogy company based in London and dedicated to serving Lawyers, Trustees, Executors or Administrators & Personal Representatives who have the responsibility of tracing and finding missing heirs or unknown heirs. Finders, has agreed to appear in Heir Hunters Series 8, to be shown on the BBC from January 2014. This entry was posted in Probate research on 12 February 2013 by admin.